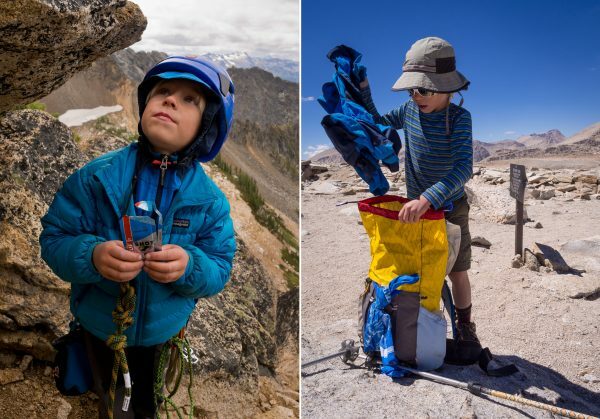 You've done your planning and preparation and you've got a kid that's motivated to go on an adventure. Awesome! It's still going to take some work during your adventure to make it a success, but it’ll be worth it. Your most important consideration is to pay attention to your kids’ basic physical needs. Continually monitor their food and water intake and make sure that they're dressed appropriately. Both of these can be harder than they sound. They burn through fuel quickly and even after years of practice we sometimes still end up with a hungry and grumpy kid. It's best to avoid sugar and provide plenty of balanced (carbs/protein) snacks and meals. Taking a regularly scheduled five-minute break is one of the easiest ways to keep everyone fed, hydrated and comfortable. Left: Fueling up on South Early Winters Spire. Right: Layer change at New Army Pass. Include them in decision making; let them make choices that have minimal consequences. Let them lead; involve them in map reading and route finding. Hold hands with younger kids while hiking to keep them moving along. Make sure they get some “kid time” when they can play with sticks and rocks or whatever interests them. This is especially important on longer trips. Camp is a great place to give them some down time. Kids love to help and feel useful, so assign them some easy chores. Left: Water duty at Third Lake. Right: Down time at Sahale Glacier Camp. At some point they're almost guaranteed to request to turn around and go home, or perhaps refuse to go another step. The important thing is to not just give in immediately. You can convince them to keep going—really! They're usually just responding to being hungry, cold, bored or otherwise unhappy, which you can fix. Always recheck their physical needs first. Do they need a drink or snack? Add or remove clothing? If they're grumpy they might refuse whatever it is they need. There are many methods of getting things back on track. You can start by talking about the goal or destination you previously discussed. Try to get them excited again and imagine the rewards of reaching the goal. Maybe it was a peak with a viewpoint. Get them to talk about what they think they would see from the top. Probably every parent falls back on bribery at some point. A short-term bribe like a bit of chocolate might get them to the top of the next hill. You can also try longer-term bribes such as offering to play their favorite game with them at home, or getting them a treat or a toy if they complete the trip. 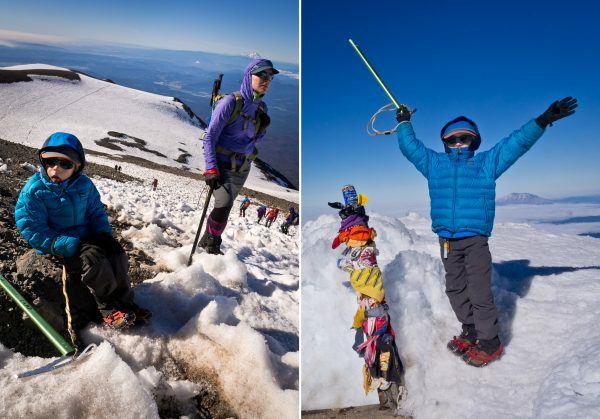 Left: A sudden loss of motivation a couple hundred feet below the summit of Mount Adams. After a snack and some time chipping at the ice with his axe, he agreed to keep going. Right: 30 minutes later cheerfully posing for photos on the summit. Keep in mind that some days just weren't meant to be, and you'll head home early. Learn from any mistakes that were made, and try again. Above all, be patient, keep taking them out, and cherish your adventures together. 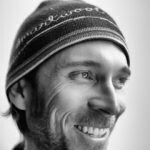 Gabe Grayum is a photographer, product designer, and brand ambassador based in Mazama, WA. He and his family relocated to this remote corner of the North Cascades to pursue adventure together. 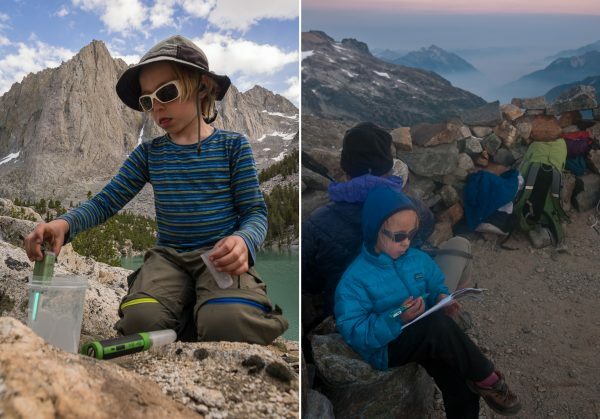 You'll find them climbing, hiking, skiing, and biking the mountains of the west, inspiring other families to get out together. REI member since 2004. And don’t forget the need to dig a cat hole (we’ll use this euphemism to cover the plethora of solutions to this basic need). I’ve had a turn around request because of that need that took a little while to figure out. And then a little while to deal with the whole idea of cat holing. Once the need was dealt with (and it took a few attempts with the whole new experience) the fastest hiker returned to the front of the hike. One word that always works for me: SNACKS! Great post, BTW – thank you.